A Tanzanian proverb that filled by cup. Today I want to talk about celebrating. I learnt this from a online entrepreneur who I follow on social media called Lana; she does youtube clips, blogs, master classes and all sorts of delightful enriching and motivating things. I may even be like her when I grow up (although I think she might be the same age as me, plus I do have plans to be a Mermaid). She celebrates anything and everything and lately I have discovered the joy of celebrating in other people accomplishments. As a British citizen it is by nature that I am meant to be ‘pleased’ for others but not really show it, kick others down where possible and as a women there is also this catty nature of not raise each other up. 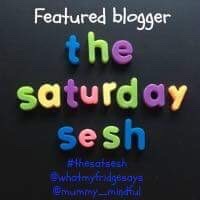 This week my heart broke for the talented blogger Wendy who is responsible for the fabulous site Naptime natter, as her son was rushed into hospital extremely ill and with doctors not really able to tell her what it was (although thank heavens it wasn’t Meningitis). Through Instagram she shared her worries, thoughts and it gave me and others an opportunity to send her some much needed love. (The blogging community rocks at times), however today (22.02.18) the photograph we had all been waiting for was released – they are home safely. Hurray for medical expertise, the power of positive thinking and her child being a little warrior. I do not know her, but I felt relieved. I commented that I’d be celebrating this weekend and I blooming well will did. I opted for a cocktail and toasted her families triumph. I then toasted and was/am grateful for my own families health. Celebrating makes you feel good. Celebrating for others is also super fun. My last Champagne toast was for a friends birthday (even though she wasn’t really celebrating herself or with me), in the week little dude bought a beautiful piece of work home – we celebrated, this time with a more appropriate child friendly hot chocolate (with whipped cream), later that week we celebrated again with a pizza party thanks to a sticker regarding his improvements in reading. *note to self: not all my celebrations are food motivated. Life is too short and like the quote states – too little, to wait for my next birthday, invite to a party or even Christmas. The journey is more joyful with little moments of celebration and recognition as you go…a little celebration makes for a life of parties. That’s the kind of life I’m interesting in living. Its often the little moments, the little wins and the little memories that stay with you. Create some fun this week and comment below with your antics (I can then use these as an excuse to further rejoice in). We are a musical family. My record player is blasting from the kitchen, in the car the base is always turned up and even in bed I often hit Spotify for some relaxing melodies to drift me off to the land of nod, bath music is often classical and did I mention music in the garden too. However, one thing is true – I adore my music turned up loud. My personal music collection is eclectic and I tend to pick a different genre depending on the time of day, mood I’m in or mood I wish to create. There is also a power in the silent moment of life which id like to acknowledge and have previously written about. However, when my mind is overloaded with lists of things to do, or if I’m building myself up for the day ahead – I often quieten my brain with my music turned up LOUD. I am totally a karaoke car Queen. I also thankful to Bluetooth, which means people now think I’m on the phone rather than giving myself a pep talk, raving, jiving or am a pop princess. Sometimes I make up lyrics to classical pieces (warning this is a simple way to destroy the power of Mozart in seconds), however if you often get anxious, are an over thinker or generally find your brain a hard place to be then music can be a pleasant vacation; you also don’t need to prebook via a travel agent, it’s often free and jet lag never occurs. In my opinion the louder the better helps to push away the outside distractions and internal frustrations. How do you use music to control your emotions? Welcome fridgesays peeps, this week we are letting go of the bitterness and being better. This sounds simple. In cooking it would equate to a basic sponge cake or a classic scone. However, in my experience the simplest of things are sometimes super hard to make. The sponge can lack a fluffy texture and the scones can be too hard or stodgy. When I’m feeling bitter (often) it’s easy to compare what others aren’t doing, what they are ‘getting away with’ or just judge with bitterness and disgust, sometimes this can be therapeutic but hold on to the bitterness for too long and if we return to our cake recipes, you’ve just added lemon and lime to a scone and grapefruit to a sponge cake…it’s going to repeat in your mouth, taste ‘unique’ and not be as good as it could be. My recipe recommendation: It would be easy to say ‘don’t be bitter’ but sometimes a little lime slips into life’s chaotic moments, instead I say, cover that cake in cream and jam. Jam and cream can make just about anything taste good and in life these are the lovely moments. Instead of becoming bitter of others, reflect on what went well in your day. Gratitude is the cream and jam of life, those little moments of triumph, those sparkles of joy and best of all…they make us better or will at least help us to get to a place where we aren’t moaning about others but are focusing on what we did well. A better me, makes a better mummy, teacher, friend or family member. So why not leave the lemon and limes for a cocktail and enjoy the cake of life. Week 22 saw me tick off the final week before half term (in the UK) however, before I tell you it was like a breeze – it was hard, super hard. In the world of child protection it involves my emotions flying from zero to hero…and then back to zero in minutes, it involves complex phone calls with parents, horrendous Police interviews (the kids not me) endless meetings with social workers and often watching parents sacrificing their souls for the children they adore…. So, my featured blogger this week is ‘View from a beach chair’ – her post on meeting her Foster daughter on a Saturday (click here to read it) made me appreciate the wonderful world of carers that are out there. In a world that can often be so negative, some people love hard. From reading a few more posts it seems her daughter is soon to be adopted and I have nothing but love for this kind of family. Please check it out and show true appreciation, foster care is hard and adoption can often be a battle. For the right people it comes with huge rewards, but early childhood trauma is never a calm sea journey, I salute you all. Please also make time to see who my cohost Hayley has picked this week – you can click here or take a peek below at the rules and press the blue linky button to read all the fab bloggers who have joined us for week 22. Today my assembly was all about being thankful, and so I would like to thank all our regular bloggers that make time for joining us week after week, you are truly appreciated and #thesatsesh would be nothing without you.